Nenagh to Garrykennedy Cycling Tour is a 38.6 kilometer lightly trafficked loop trail located near Nenagh, County Tipperary, Ireland that features a lake and is rated as moderate. The trail is primarily used for walking and road biking. 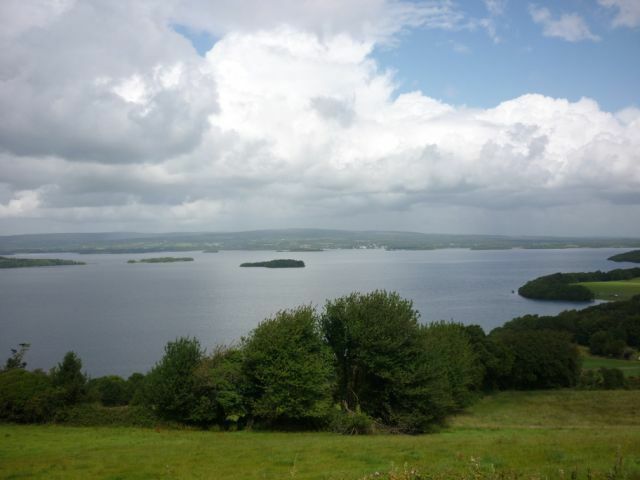 A pleasant loop which includes some of the finest scenic views of Lough Derg. The North Tipperary Cycle Network, with the town of Nenagh at its hub, offers three loops varying in distance with numerous shorter alternative loops. Each cycle offers pleasant views of the local countryside while Loops 1 and 2 provide stunning lakeshore panoramas. Numerous picnic stops are dotted along the route as well as a number of award-winning pubs and restaurants. 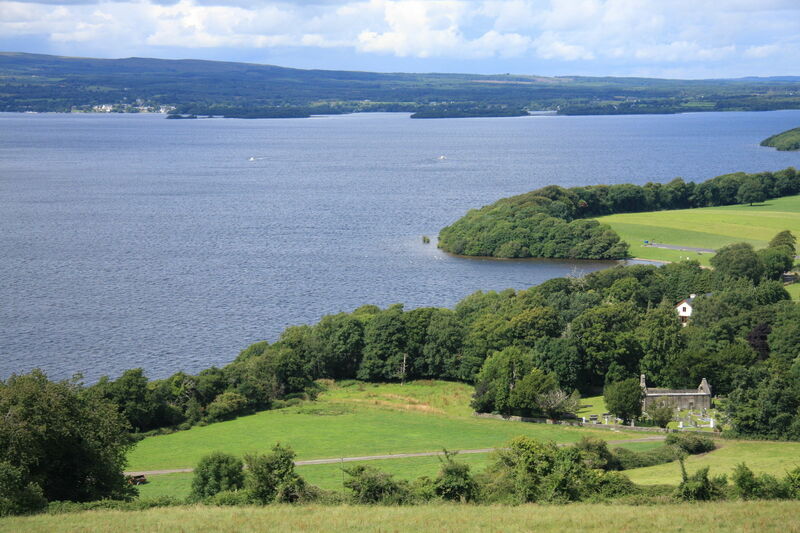 This loop, the shortest of the three, showcases some of the more spectacular views of Lough Derg, before descending into Castlelough and on through a working farm, along a slight off-road section (suitable for all bike types) to the pretty lakeshore village of Garrykennedy. 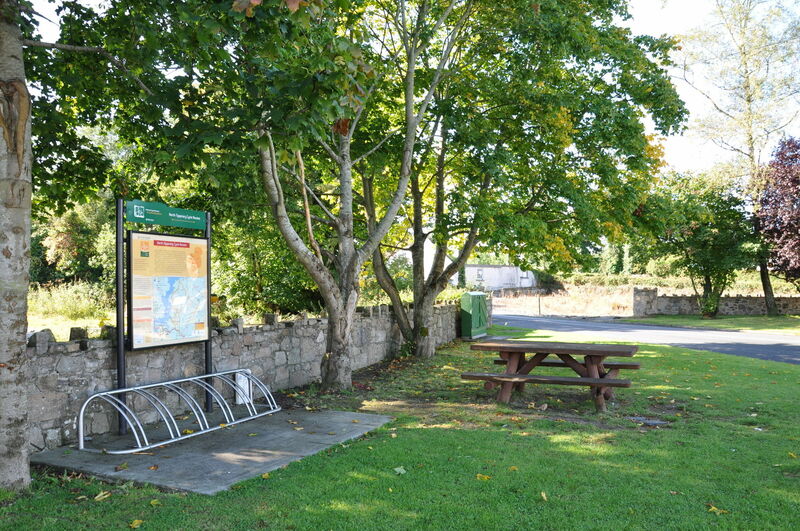 The Trailhead for all 3 North Tipperary Cycle Routes is located in Banba Square, Nenagh. Some information on Nenagh and on things to see and do is provided below. To begin Loop 1, cycle out O'Rahilly Street with the courthouse on your left. Continue on the cycle lane out the Dromlin Road until you reach the main N52 road. Caution is advised crossing this busy road and after about 700m turn left at the Y-junction (if cycling the loop in a clockwise direction). After that, you will then shortly come to a T-junction at the R495 where you turn right for Ballycommon. Nenagh, the administrative capital of North Tipperary, is the eastern gateway to Lough Derg. The town (pop. approximately 8,000) is very accessible, being just off the main M7 motorway linking Dublin and Limerick. It offers a wide choice of accommodation, eating places and other services for the visitor. With its central location within easy reach of many pleasant villages on the shores of Lough Derg and the lake itself, Nenagh is an ideal base for touring and exploring the region. Noted for its friendly welcome, the town has a trading history stretching back over 1,000 years. Its name is derived from the Irish word, 'Aonach', meaning a market or gathering place. As visitors gather today in the pleasant town, there's much to see and do there and all around. The impressive sight of Nenagh Castle and its circular tower, currently under restoration, stands 30m (100ft) in height. This calls to mind the great castle built by the Norman Butler family in the 13th century, which was the scene of much turbulent activity down through the centuries. The castle stands in a pleasant green, surrounded by trees. The old gaol, nearby, with its beautiful octagonal Governor's Residence, is now an interesting visitor attraction. The Nenagh Heritage Centre is housed in the former governor's house here, and offers fine insights into the town's rich historical past, including its status as a major Anglo-Norman stronghold. Nenagh has a well-earned reputation as one of Ireland's food capitals, offering a top quality dining experience with a particular emphasis on locally-produced and organically grown food. At the crossroads beside the Thatched Cottage pub in Ballycommon, turn left. This pub & restaurant has lovely outdoor seating and is renowned for serving fine food and drink. So if you feel like refreshments, feel free to drop in! The route follows local country roads for about 3.5km before reaching a T-junction with the R494 road. Turn right for Newtown. Newtown is a small village on the R494, and is a nice place for both refreshment and entertainment. Reidys Bar & Skyfarmers Restaurant serves fine food daily and features live music every weekend. J.Barry's Bar is also well known for its entertainment, particularly the regular Irish traditional music sessions. At Newtown the loop splits and you have a choice of travelling in a clockwise or anticlockwise direction. Local experts would recommend the clockwise route as the more pleasant option and it is also physically less demanding. To take this route continue straight for Portroe. As you approach the village of Portroe, the Loop turns left at the crossroads to avoid one of the steepest hill in the area. However, it may be worth a quick detour as the village offers a marvelous setting. Portroe stands at 182 meters (605 ft) above sea level and, besides a great panoramic view, has a range of services to offer the visitor. Portroe is located close to the sandy shore of Castlelough, one of the most charming places on the lakeshore. Nearby Castlelough Forest Park comprises over 50 hectares of mixed woodland that include a network of forest roads and trails which the walker is welcome to investigate. To follow the loop, turn left at the cross before Portroe. The distinctive slate quarries will be visible up ahead. Continue on this quiet country road for about 1.5km and then turn right where signposted. The route then gradually descends for 2km back to the main road. When you meet the R494, it is recommended to take a short detour from the signed loop by turning left. After about 1km you will reach "The Lookout" on your right. 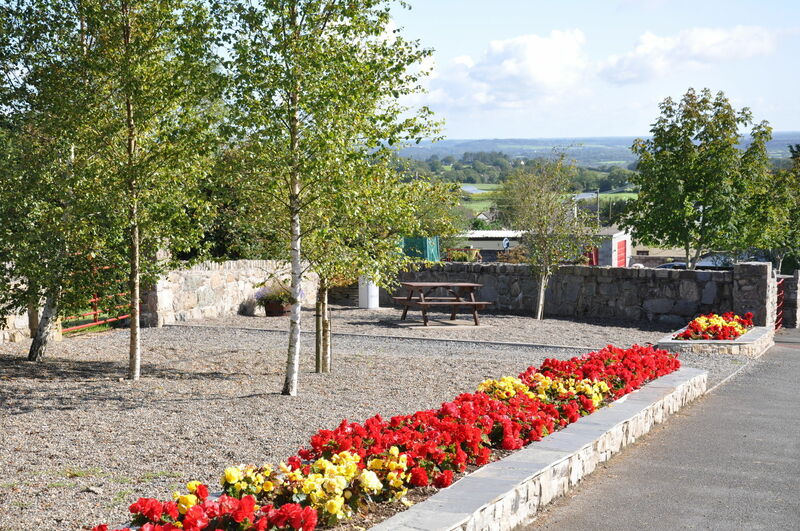 This amenity area is a wonderful place to stop as it marks the special viewing area known locally as "The Lookout", where you can savor breathtaking views - possibly the most spectacular throughout Lough Derg. To continue on the Cycle Loop, return back to the junction with the R494 and turn left. This is a relatively steep descent to Castlelough, so caution is advised. This amenity area is another great stopping point. There are public toilets, picnic tables and great lakeshore views. This is also a safe bathing area. Approximately 1km from the Amenity Area is the entrance to Castlelough Woods, a Coillte-owned recreation site. The woods comprise over 50 hectares of mixed woodland that include a network of forest roads and trails which the walker is welcome to investigate. Beech, ash, oak, alder, birch, cherry, Norway spruce, Scots pine and Douglas fir all form part of the canopy cover. This is also a popular area for birdwatchers. Lough Derg is a designated Special Protection Area (SPA) for breeding and wintering birds such as Common Tern, Black Headed Gull, Great Crested Grebe, Tufted Duck and Whooper Swan. A short distance after the entrance to Castlelough, the route turns left. Take a left at the next junction and turn right after that. You are now traveling parallel to the lakeshore. Some of this section can be quite rough, but is suitable for all bike types. After another 1km turn left for Garrykennedy. One of the best ways to experience the magic of Lough Derg is to visit the beautiful hamlet of Garrykennedy on the lake's North Tipperary shoreline. 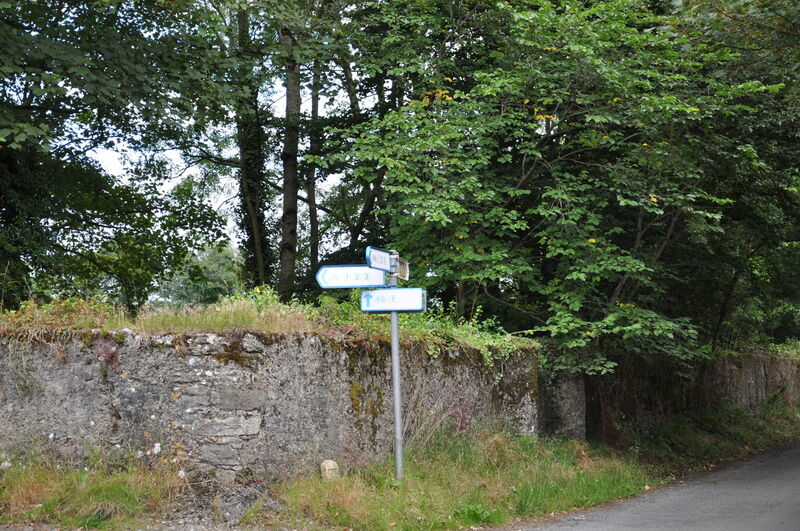 Situated less than 3.2km (2ml) off the Nenagh - Portroe lake drive road, the village is a true gem. It's a small unspoiled fishing and boating village with a great reputation for traditional Irish music. Up to the 1950s, it was a busy port with regular visits by the Guinness barges delivering barrels of stout. In recent years it has been developed to cater for increased cruiser traffic and the needs of other visitors. Additional visitor facilities were recently provided, including new toilet facilities with showers and changing rooms, an expanded slipway for boats, seating, picnic and BBQ facilities. The route now leaves the village, ascending in a southerly direction back towards Portroe. About 2km from Garrykennedy, the loop turns left. The terrain is relatively flat now for the next 4km to Newtown. To return to Nenagh, you simply retrace your route back via Ballycommon. The routes are signposted in both directions and cyclists can choose to travel clockwise or anti-clockwise. Note that the route utilizes a mix of national, regional and local roads. The regional and national roads can be busy, particularly in the summer months. Cyclists are advised to exercise caution on these stretches.